Dennis was the beloved R2D2. His costume came together nicely with a big silver bowl, some poster board, and lots of construction paper. 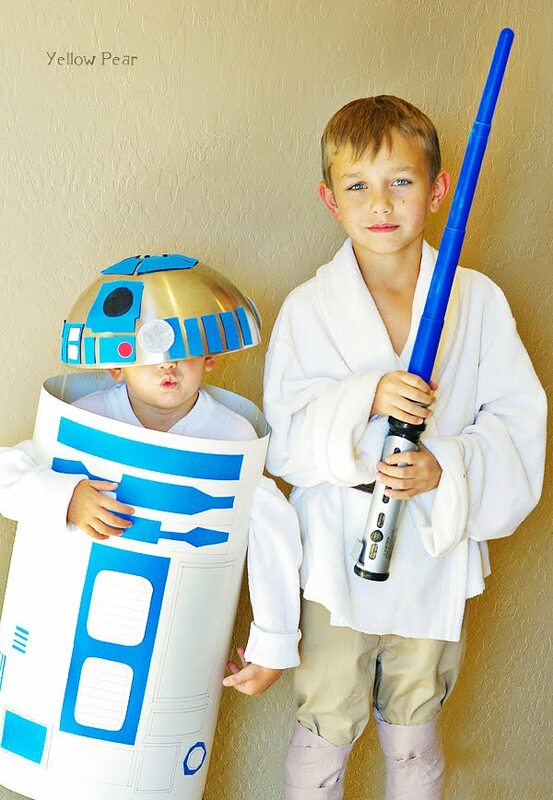 I found a photo of R2D2 and followed the design as closely as I could for his body and head. We couldn't figure out how to get the bowl to stay on his noggin though and after lots of trial and error, I finally duct taped it to his bike helmet and it worked wonderfully (although by the end of the night his head was a little achy due to the heavy bowl... the price we pay for awesomeness...). 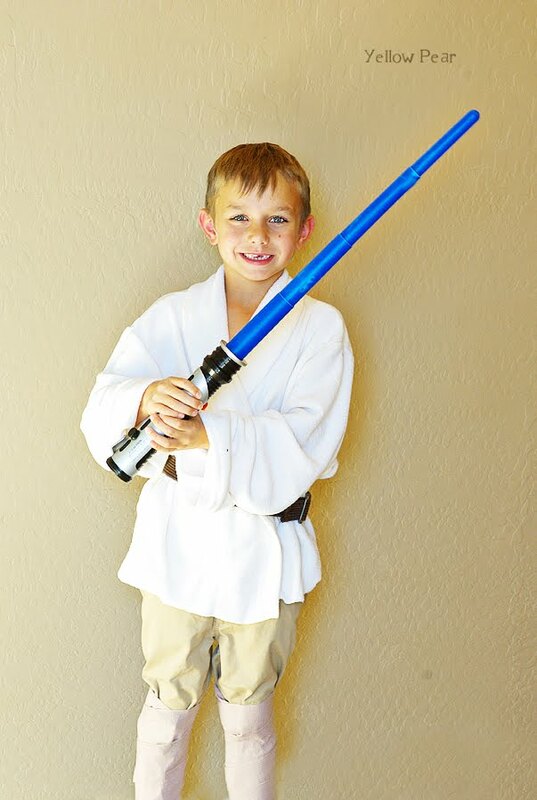 Mr. C was Luke. His costume was by far the easiest. And he was probably the most comfortable, except for his mummified lower legs. He was also concerned about his chest showing, so we had to periodically tighten his tunic. 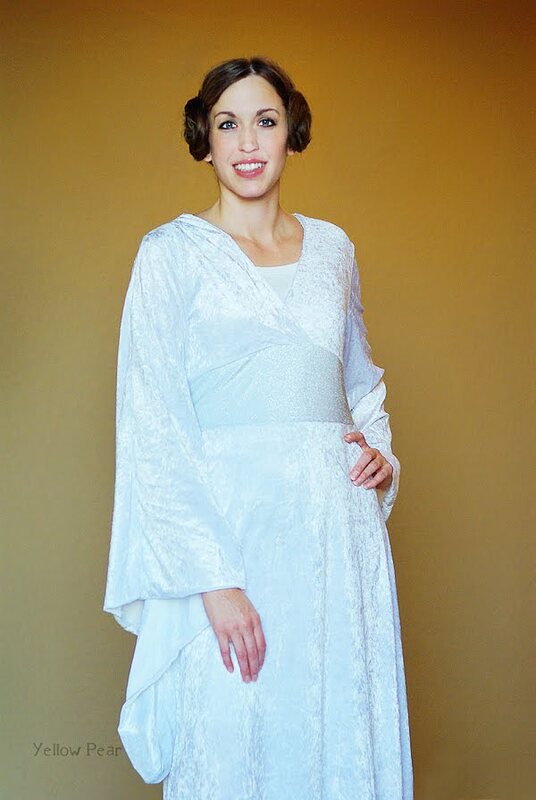 His tunic consisted of a robe from the thrift store that I cut to the length I wanted and then rolled the sleeves. We added a belt at his waist and ace bandages to his lower legs. 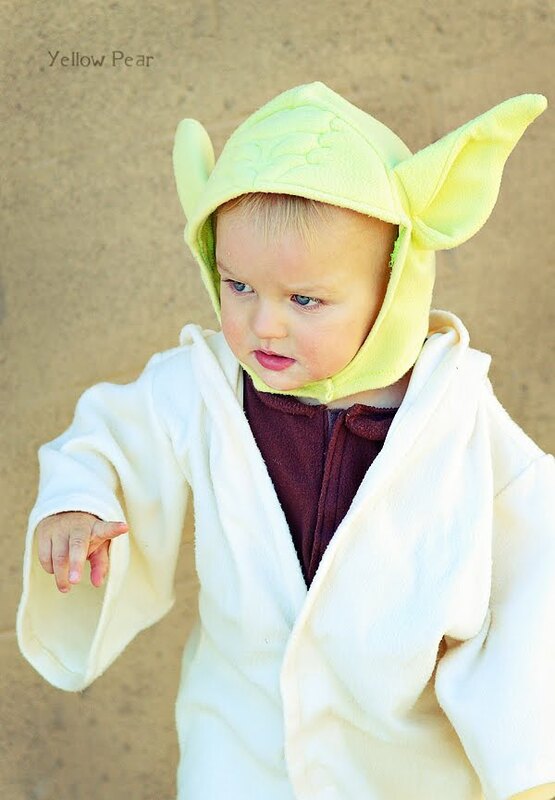 Our little Yoda was played by Q and he taught us all about his infinite Jedi powers. 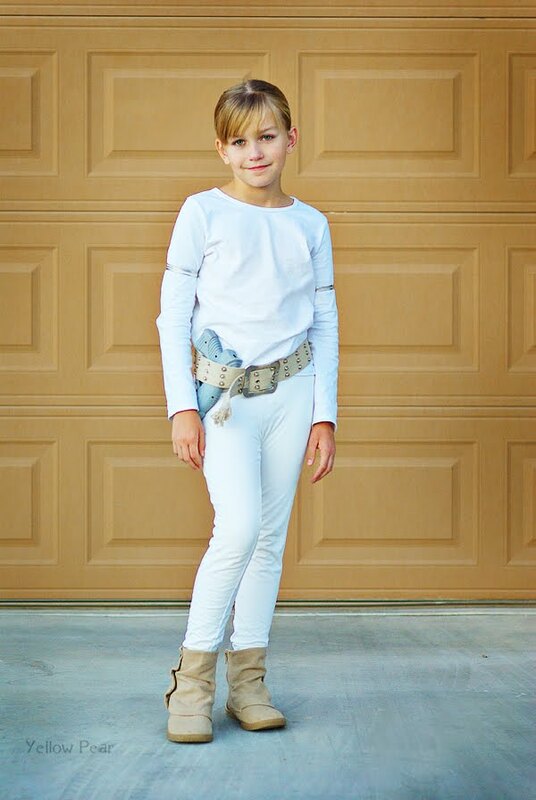 Miss B made a lovely Padme in her arena outfit. Luckily we just bought these boots for the beginning of the school year and they worked perfectly. Not many people knew who she was...only big fans, but it was fun anyway. Her hair took me forever and gave her a major bobby pin headache, but it was worth it. I was Princess Leia and my hair took awhile also, as well as lots of hair spray, a good amount of gel, 4 pony tails and 31 bobby pins. Dear Han Solo worked the day away repairing the Millennium Falcon, (er, I mean the dryer). It has only been partially drying clothes and that's if we put it on the highest heat setting for 95 minutes. And even then, we have to re-dry about 80% of the loads. But after some research and a new lint hose, it works amazing and in 1/4 the time. I can maybe keep up with my laundry mountain a little better...maybe! Needless to say, with all of that working...I didn't get a picture of Han before the craziness began, and we all know it's nigh unto impossible to get pictures after the craziness.... But he looked the part and was fabulous...trust me. 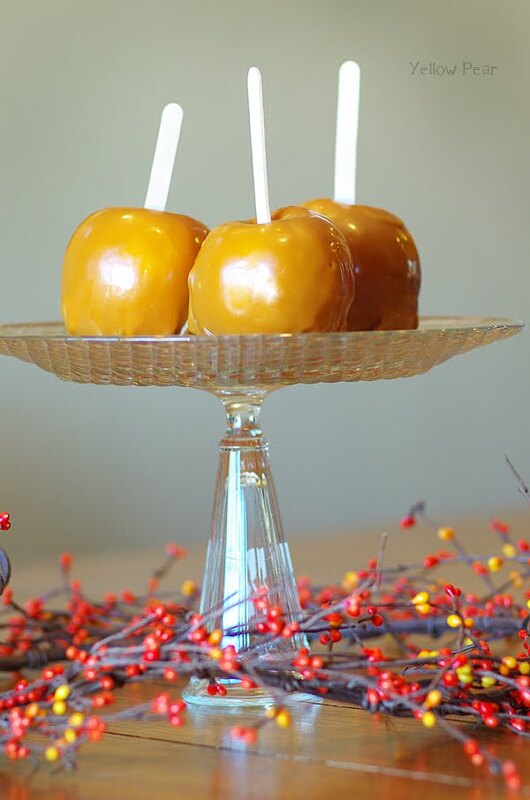 We also carved some pumpkins and made some caramel apples to complete the day's festivities. I kinda liked Halloween on Saturday. "What did one window say to the other?" Let's just say we're a little weary of that one. Wow! You guys look amazing! I might have to steal your idea one of these years. 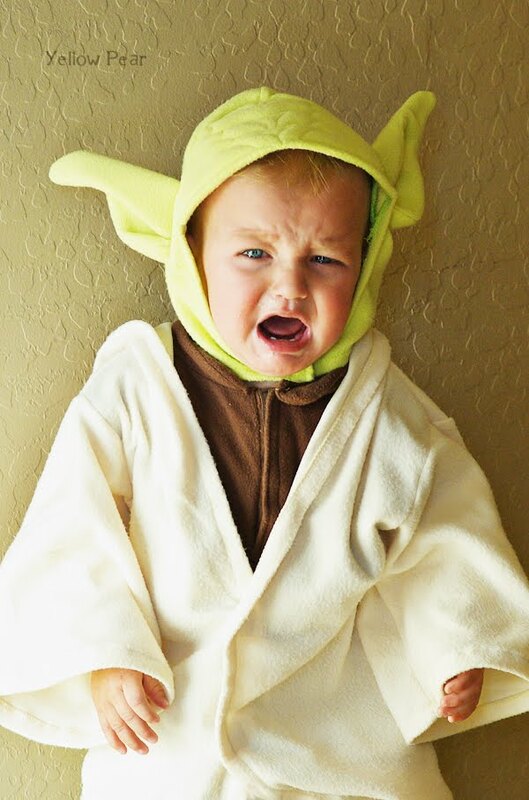 My son LOVES Star Wars! I always give bonus points for family themes! 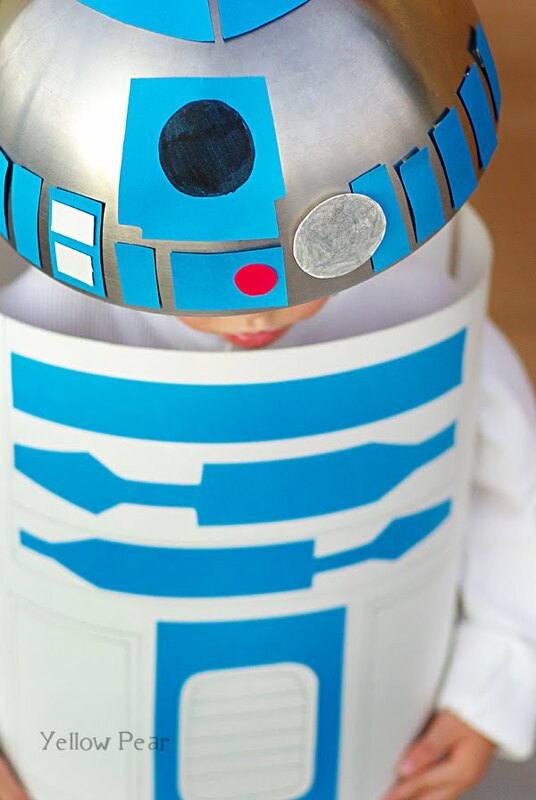 And so clever with R2D2! You were right about Toy Story. I'll be posting some pics this week. Great costumes! They turned out great! I think your hair was perfect! You guys are so fun, can't wait to see what you all are next year!? Hey, everyone looks great! Must have been fun going with a theme. You all look great. Thats a lot of bobbi pins!! And YEAH for the new dryer hose! 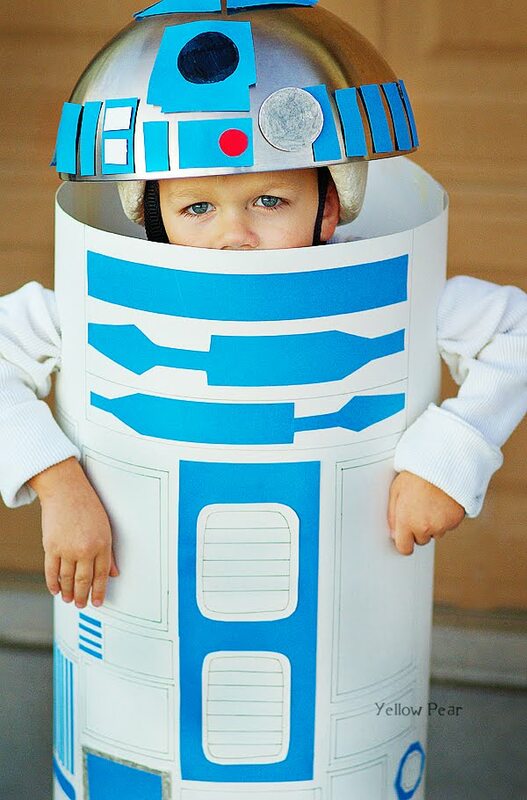 LOVE the R2D2 costume. It's perfect. Love it, so sad I didn't get to see them in person though. Where is your gun and are you sure it wasn't 33 bobby pins instead of 31? B's hair is insane...where'd you come up with that one?